This newsletter is going to be a short one. So far I did not have one free day in Vienna in October and since I will travel to Tokyo on Monday for three weeks I could have skipped this edition or write a short one. So there is a big thank you to all the people attending my first edition of Austrian Alpine Abrazo, updated recommended international tango events and details about my Práctica in Vienna. CD-wise there is an updated CD-list of CDs being in stock and the information about almost all relevant CDs by Sondor (Uruguay) being in stock and on sale as well. Otherwise you will have to wait for my return from Tokyo in the beginning of November and the next newsletter hopefully containing lots of interesting information straight from Japan. Thank you so much for all the lovely feedback from everybody attending this 1st edition of Austrian Alpine Abrazo! 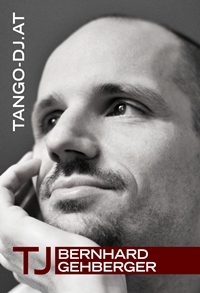 Tango-DJ.at was organizing an international tangomarathon in the beginning of October in Mallnitz, an high altitute health resort situated in High Tauern National Park. And we are going to continue, so next edition will take place in September 2013 most likely. If you have not been there you might want to take a look at the Austrian Alpine Abrazo website. We have also established an Austrian Alpine Abrazo Facebook group for everybody being envolved or interested in future events. Fully booked for quite some time alredy. Why not try a new event?! Tangofestival, Tangomarathon, Afternoon Tangocafé, Afterparties,..
Da wir immer wieder als Tänzer, Workshopteilnehmer, Organisator oder Tango-DJ international unterwegs sind, können nicht immer alle von uns zu jeder Práctica anwesend sein. Das mag im Einzelfall vielleicht ein kleiner Wermutstopfen sein, langfristig sichern wir durch den kontinuierlichen Blick über die Grenzen der lokalen Tangoszene hinaus unseren eigenen, und damit aber auch euren Fortschritt beim Erforschen des Tangos. Die kommenden Prácticatermine werden wie folgt stattfinden. Wir freuen uns sehr Nikos & Mary als Gastlehrer für die Termine am 30.10 und 6.11. bei uns zu haben! Wir freuen uns euch an vielen Dienstagen zu sehen und mit euch zusammen interessante Tango-Práctica-Abende zu verbringen! I was able to obtain all Sondor CDs related to tango or folklore (Candombe, ..) which I have in stock from now on and on sale. I did not manage yet to update my Sondor catalog with tracklistings and cover scans, but this will follow in the near future.